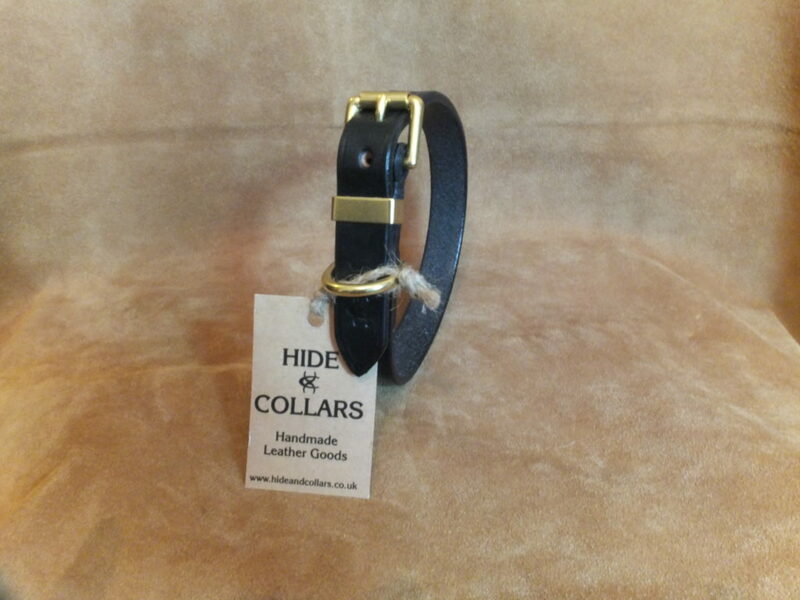 Black flat leather dog collar hand made using the very best English bridle leather. This collar is 19mm in width with solid brass buckles . Will fit a 33cm to 38cm.